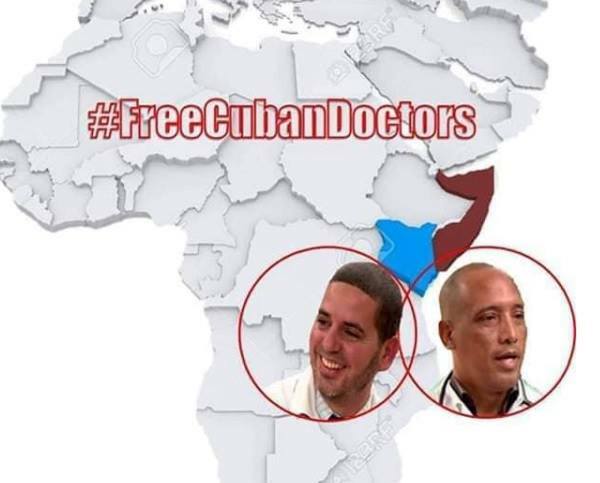 HAVANA, Cuba, Apr 15 (ACN) Miguel Diaz-Canel Bermudez, President of the Councils of State and Ministers, said on Twitter that Cuba is working tirelessly for the return of two doctors kidnapped in Kenya. With them and their loved ones we share the certainty that their humanitarian mission will be respected and recognized. We believe in the power of Solidarity," he said. This Saturday, after having a telephone conversation with her Cuban counterpart, Bruno Rodriguez, Kenya's Minister of Foreign Affairs, Monica Juma demonstrated her solidarity with the families of the kidnapped Cuban doctors. I had a telephone conversation with Kenya's Minister of Foreign Affairs, Monica Juma. We exchanged about the kidnapping of the two Cuban doctors and the actions carried out by the government of their country in the face of a regrettable incident. She forwarded her solidarity with the relatives', wrote the Cuban FM. In another message he said that Cuban collaborators in Kenya are safe and that the Cuban embassy in Nairobi maintains permanent communication with them and the relatives are kept informed. Our health collaborators in Kenya are safe. The Cuban Embassy in Nairobi maintains permanent communication with them and keeps the relatives informed. We maintain constant follow-up with the Kenyan authorities, he stressed. The Cuban Ministry of Public Health reported the kidnapping of two Cuban health workers who provide their services in Mandera County, Kenya. According to the official note, the doctors are named Assel Herrera Correa, specialist in General Integral Medicine of the province of Las Tunas, and Landy Rodriguez Hernandez, specialist in Surgery of the province of Villa Clara. The Cuban medical collaboration with Kenya began in June last year and involves 101 doctors who perform their work throughout the African country.